The Most effective bronzer ever developed. 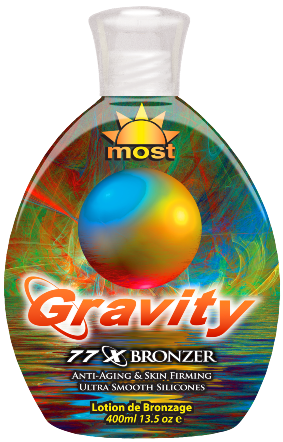 Gravity uses the gravitational pull of the body’s magnetic layer to infuse the tanning cells with encapsulated tanning ingredients. Also incorporating Shade Shifting Technology it will gravitate your skin to a shade of complete bronze, darkness. Shade Shifting Technology-Provides Instant, dark color and a great bronze glow over time.